Dare I be bold enough to say that spring has arrived? Yesterday was Easter Sunday and Mike and I stole outside to walk our dog Phoebe. We remembered to go slow. Last year, in our exuberance, we pushed her too fast and too far. Her poor little hips and legs grew sore and she limped around for a couple of days. This year we made a promise to acclimate her muscles slowly with short loops around our neighborhood until she can manage longer walks. After a long winter, we cannot help but feel the symptoms of cabin fever. Even our indoor cats jumped from window-to-window yesterday to watch the birds and feel the warm breeze on their fur. To add to the delight, my flowers are already starting to wake-up. 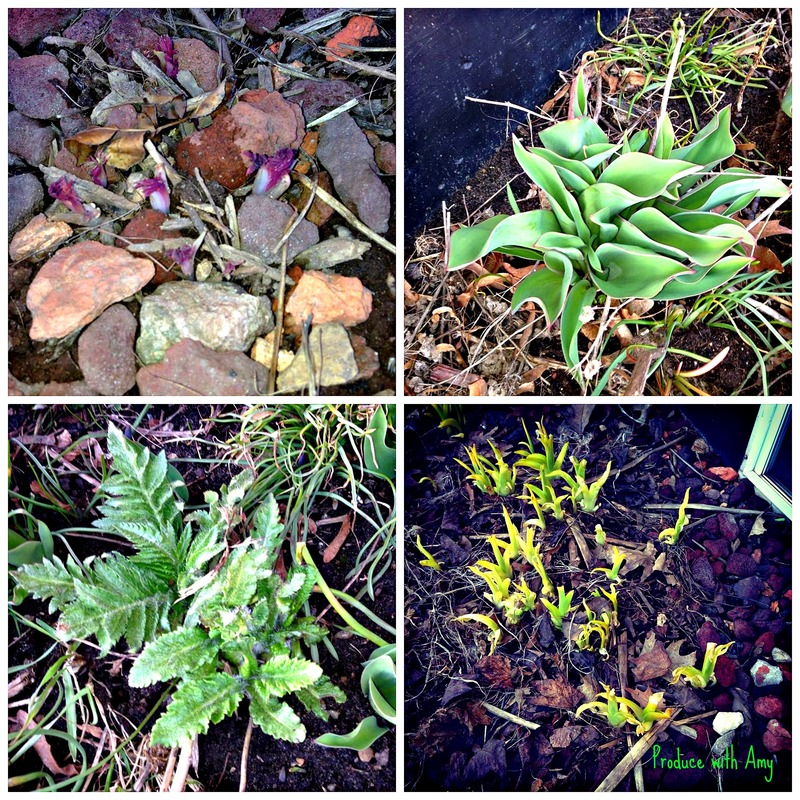 Shoots of tiger lilies, tulips, poppies, and bleeding hearts are starting to inch forward and tingle with life. Of course, I had my camera ready to document their growth. 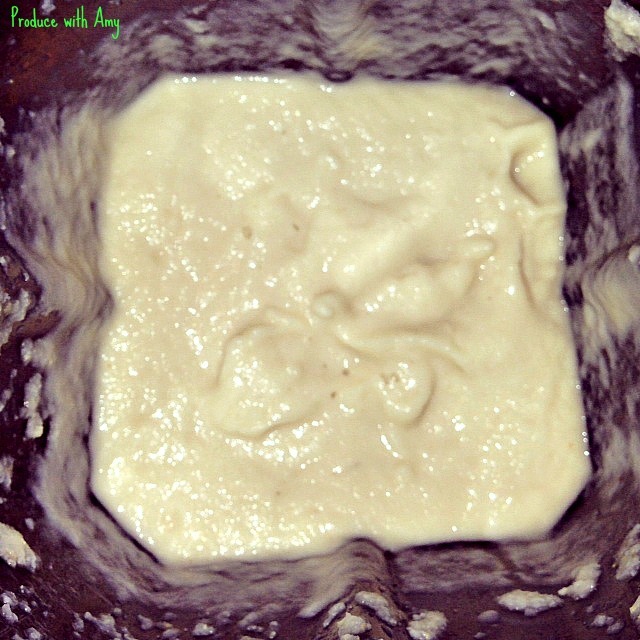 I use my Vitamix blender to puree the cauliflower and white beans. soup. This soup gets its creamy body from a puree of white beans and roasted cauliflower, It was simple to assemble and tastes delicious and satisfying. Plus, the protein from the white beans makes it especially filling. If you are a Weight Watchers member, an added benefit is that it is composed of 100% Power Foods and works well with Simple Start and the Simply Filling Technique. I always make a large batch of soup to eat for the entire week (with several servings to freeze). If you do not want as much soup you may want to cut the recipe in half. Saute the onion, celery, and garlic in coconut oil until soft. Puree the cauliflower and white beans in a blender with a couple of cups of the vegetable stock until silky smooth. You can puree the onion, celery, and garlic too but I like to leave them whole. 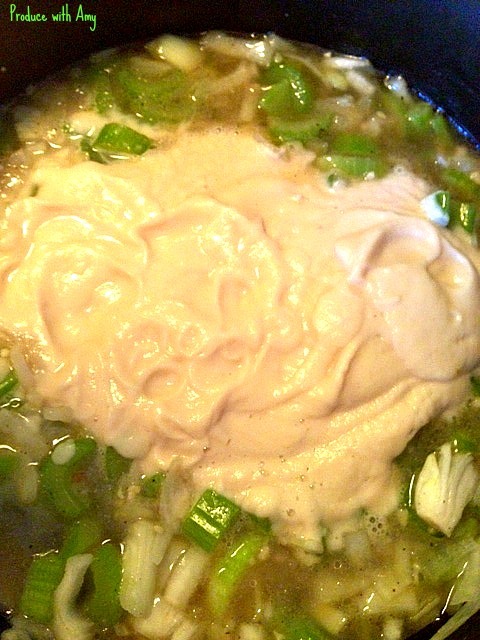 Add the vegetable stock and the pureed mixture to the sautéed ingredients. Bring to a boil. 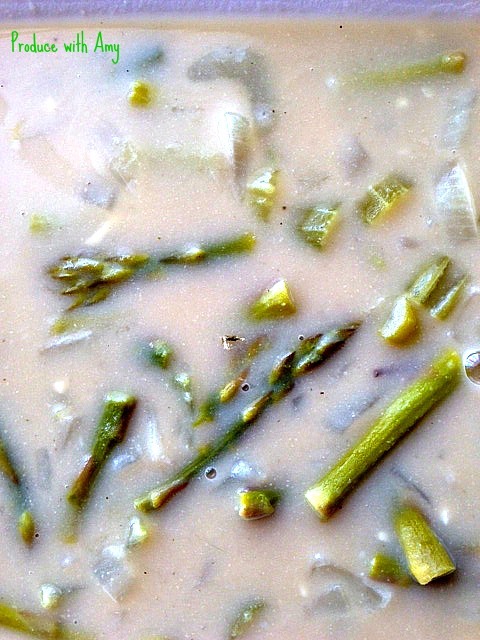 Add the chopped asparagus and simmer for 5-10 minutes. Remove from the heat. 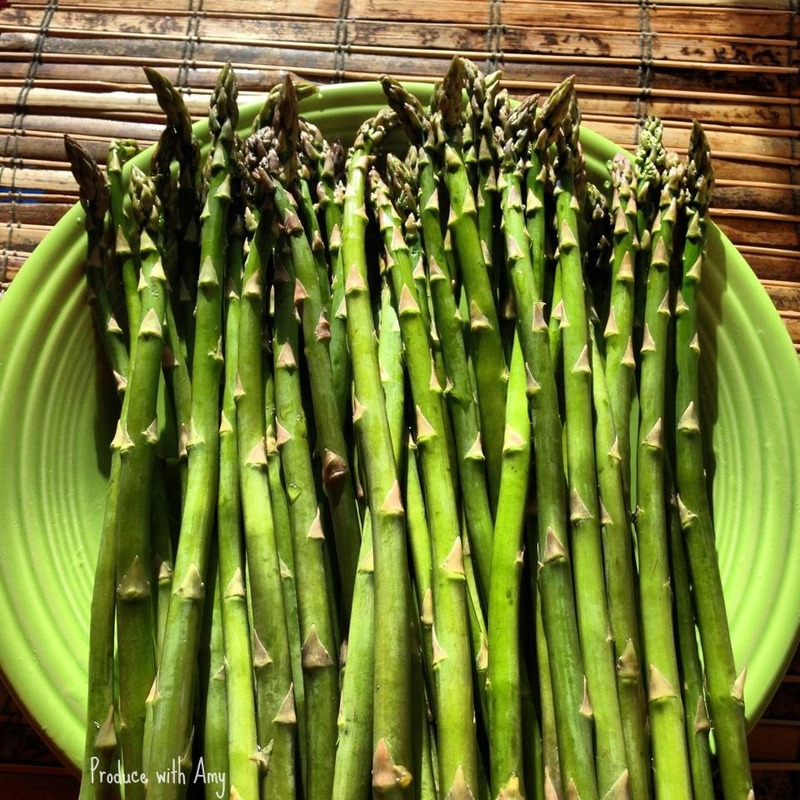 If you prefer the asparagus to be a bit crisp, once the soup comes to a boil remove it from the heat and add the asparagus. Add salt and pepper to taste. Ladle into a bowl and enjoy. Broccoli or kale would be a healthy addition to this soup and it would be lovely served with a fresh drizzle of lemon juice, lemon zest, and even fresh dill. 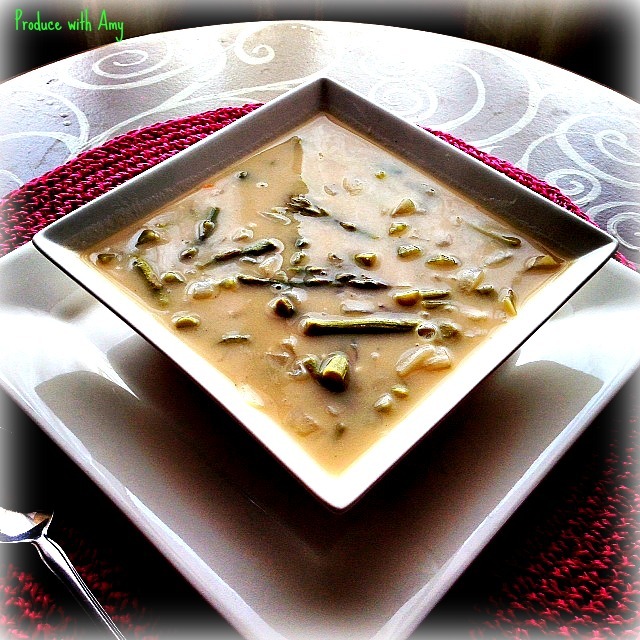 If you like this soup you may want to check out my other soup recipes. Please make sure you stop by my Facebook page, sign up for email updates of my posts, and follow my posts on Pinterest, Instagram, and Twitter. If you try this recipe, please let me know what you think. I would love to hear from you. Thank you for joining me in the journey to eat more fruit and vegetables. Together we can thrive and embrace a healthy lifestyle. We are worth the time and energy that it takes to prepare a healthy meal. 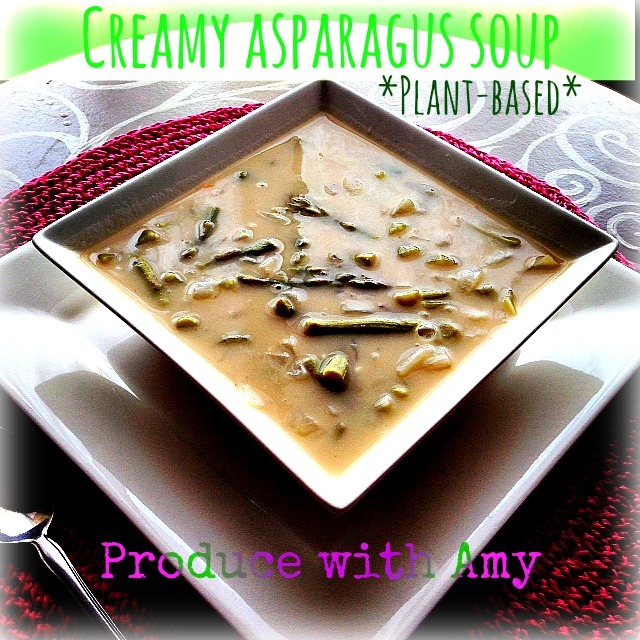 This entry was posted in Soup and tagged asparagus soup, cream of asparagus soup, Plant-Based Soup, roasted cauliflower, Vegan Soup, vegetarian soup, vitamix soup, Weight Watchers, weight watchers soup by Amy. Bookmark the permalink.